Another year has gone by, and in a few short weeks, we celebrate National Cancer Survivor's Day. When this day arrives I am always taken back and remember those who never had a chance to celebrate this day. Having practiced medicine for more than three decades, as physician I was deeply involved with the care of little children. As a hospitalist, I saw my fair share of childhood diseases. I can gladly say I was allowed to save many lives with help from others on the medical teams I worked with, and of course the cutting edge technologies afforded those of us who are privileged to practice medicine in the United States. It is interesting, the things in life which will push a man toward an education and prepare him for the great profession of medicine. One of those things was an event in my childhood in the early 1960s. When I was a boy, I had many friends in school and outside of school alike. Growing up on a ranch in Nebraska, it was not unusual to have many friends who lived in other towns come to visit. One of my friends outside of school lived in a nearby town, but came over often. David and I were both eight years old. I remember fondly of playing "army" with David in the yard, and board games with him when he would come to visit. I liked him. He was friendly and got along with my sister and little brother too. We were both Cub Scouts but in different troops. You would always hear about how much David loved Scouting. Soon though, the visits became fewer and fewer. David seemed to look frail and discolored to me as time went by. The color thing really bothered me. I asked Mom, "What's wrong with David?" Mom said, "He's sick, honey. He has cancer of the blood. It's called leukemia". As you can imagine, this was a little difficult for an eight year old to take in, but as time went by, I learned more and more. David's parents were good friends of my parents, so we saw each other as families often. After he became ill, we saw less and less of them. Very rarely did I get to see my friend. David had an ever advancing condition of weight loss, bruising, sore joints, infections, was easily brought to tears, and I thought his hair looked funny. How does an eight year old process this inevitable plunge? As children, David, his sister, my brother, my sister and I, we were not emotionally mature enough to process this whole thing. One night we received a phone call from David's father. David had passed away at the young age of eight. I remember, it was really the first time I heard those words, "passed away". It was also the first funeral I went to for a friend. Friends are not supposed to die when you are kids. It caused me to take pause, and realize, that we are mortal. I know, I was just a child. I had seen two grandfathers buried, but I was very quiet and overcome by this intense event. All of these grownups I knew as strong, would breakdown and start to cry. I never the less watched in a surreal world of sadness, my parents' good friends bury my buddy, David.... And that image which is still so clear.... My friend, asleep in his Cub Scout uniform. All the while I was there, I remember thinking David might come running out from behind that marble stone, but he never did. Why had this happened? I seemed to feel a pull even then, "The Calling", so many of us drawn to "medicine" and trained as healers will occasionally and quietly talk about. Time went by, but I often thought of David and how unfair it had been for him and his family. The early 1960s saw almost all children die who had leukemia. The five-year survival rates of children then were only one in ten. All families could do, was wait and watch while their babies died in agony. He never had a chance, I often reflected. A sweet kid, taken from his family at such a young age. He never got the chance to do anything after he became sick. Never got to be an Eagle Scout, play baseball, be cool at school, or fall in love. How scared he must have been. Time marched on and while in high school, I would hear of small advances in the fight against cancer and leukemia. Then, in the early 1970s, when I was in college studying chemistry, we began hearing about a new drug, a drug with great promise in the fight against leukemia. It killed leukemia cancer cells by attacking their ability to process folic acid for DNA synthesis. Called Methotrexate, I remember thinking.... Damn!.... it's a little late, but in less than ten years they came up with a weapon. I had grown up with kids who had polio, but now, it was gone. Diphtheria was gone. Small pox was all but vanquished. Psychiatric hospitals were giving way to more advanced neuroleptic drugs, allowing former patients to re-enter society and become productive citizens. They had just invented the CAT Scanner. They had started to use lasers in ophthalmology. And, I thought, even William DeBakey is transplanting hearts with Denton Cooley down in Texas of all places! Things were really happening, and I wanted to be on the inside not the outside. It was an epiphany. Already a man of science, I realized then, that I was going to become a physician. As time went by, more of these antimetabolite drugs became available and we started to see a real dent in childhood mortality from leukemia. Soon after, in the late 1970s, when I was a biochemist and starting my medical career, a drug from a flower called, "The Rosy Periwinkle", which only grows in the rainforests of Madagascar (go figure) gave us a new drug called Vincristine. A drug that could only be brewed in mother nature's kitchen, this was a monumental discovery. Never before had we been able to reach for a drug that could stop mitosis in cancer cells directly by shutting down their ability to pass through telophase. That's right, Vincristine and its sister, Vinblastine, destroy microtubule formation, so cells can't make spindles, resulting in the inability to replicate. Then, when I was a resident in medicine, we discovered a way to perform bone marrow transplants, exchanging cancerous white cells for fresh, normal white cell precursors. You guessed it. We were now seeing cures and not just remissions. Lives were now being saved in this war. My friend David had what we call, "Acute Leukemia". 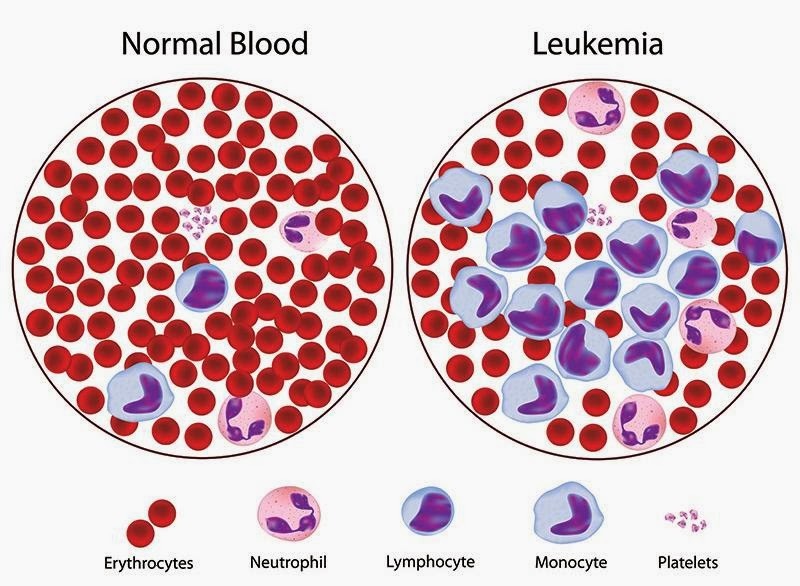 There are many types of leukemia, but there are two well-known leukemias that prey on children. They are Acute Lymphoblastic Leukemia, ALL, the one David had, which generally seeks out kids two to ten years of age, and Acute Myelogenous Leukemia, AML, which generally hunts down our babies under 1 year of age. The acute leukemias are proliferating bone marrow tumors of cancerous precursor white cells still in the immature blast cell phase. The cells do not work like healthy white cells to combat infection. They multiply wildly, creating havoc in the body, literally consuming the patient to death, a condition we call "cachexia". Patients have intense bone pain, anemia, infections, swollen lymph nodes, enlarged spleens and livers, and, for some, meningitis, strokes, heart attacks, and renal failure. Without treatment, they are dead in a few weeks to a few months. We still do not have a full grasp on their cause. Most are caused by oncogenes, which are mutated cancer inducing genetic codes for programming carcinogenisis and disrupting programmed cell death we call "apoptosis". What causes this, is the head scratcher. Many of us feel it is radiation exposure, or certain viruses. Perhaps environmental toxins, or even cosmic radioactive bursts. And of course, man-made toxins are obvious suspects. By the early 1990s we were seeing cure rates in both ALL and AML of fifty percent and remission rates in the eighty percent range. What a leap. In just 3 decades we saw a paradigm shift in the treatment and outcomes of our children with leukemia, moreover, a shift in therapies which utilizes a team approach to protect our children from the acute depression and other collateral illness which accompany these frightening diseases. Newer drugs like Daunorubicin have accelerated these therapies to even better outcomes. Although this drug is very effective, it is extremely cardio toxic and not generally used in children. However, it should be noted that we are now seeing ninety five percent remission rates and sixty percent cure rates in our children with ALL, and AML, a true shift in mortality that could only be dreamed about just thirty five years ago. The drug Methotrexate is still at the heart of leukemia therapy, and is used in combination with other drugs. Unfortunately, there has been a recent shortage of this drug due to decreased production, and the drug makers asking for more money and charging outrageous prices. This is an unethical practice, and shameful in my opinion. It has been treated much in the press of late. Hopefully attitudes will shift and our lobbying campaigns to continue cost-effective production will be fruitful. But now, what treatments are on the horizon for leukemia? There is a new drug. This drug arrived on the cancer chemotherapy shelves about a decade ago, but shows outstanding promise even outside of cancer therapy. Used mainly for Chronic Myelogenous Leukemia, CML, a leukemia which is seen mostly in older adults, it is highly effective. Rendering oncogenetic codes for cancer cell induction dead in their tracks, it is a target directed drug aimed at a specific chromosome translocation defect which exists in more than 90% of CML patients, called the Philadelphia Chromosome. The drug, Imatinib, was built from a rational drug design based on biochemical research already in place regarding the specific allele the Philadelphia Chromosome codes for, and shuts down the production of a protein called tyrosine kinase which induces cancerous breakdown of normally functioning white cells. Imatinib has been used as therapy for other leukemias including refractory Acute Lymphoblastic Leukemia, and Myeloproliferative Disorders (chronic bone marrow cancers generally seen in the elderly) with outstanding success. But what is also very interesting is its experimental applications which are currently being investigated. Imatinib has been touted as a treatment for pulmonary hypertension, a rapidly fatal form of high blood pressure in the lungs. It has been shown to reduce outcropping we call smooth muscle hypertrophy and hyperplasia of the pulmonary vascular tree. In systemic sclerosis, the drug has been tested for potential use in slowing down pulmonary fibrosis. In addition, current laboratory investigations show promise in stopping the progression of atherosclerotic vascular disease in mice. Yes, a treatment for coronary artery disease and heart attacks. At Emory University in Atlanta, there are promising studies suggesting that Imatinib could be used as an antiviral against smallpox. Why is this important? Although this disease has been wiped off the face of the earth with the remarkable efforts of the World Health Organization, and no case has been identified in almost thirty years, We continue to believe a weaponized form of small pox launched from a rogue nation is possible. Studies also suggest that a modified version of Imatinib can bind to the protein which increases the production and accumulation of amyloid plaques in Alzheimer's disease, rendering it inert. Yes, a treatment for Alzheimer's induced dementia. The staff and I immediately recognized the man's son as Eric, a well-known high school football star. The father said he found his son crawling on the floor trying to get to the kitchen to get a drink of water. Eric looked awful. There was that damn color again. Eric was delirious with fever, weak, and poor to respond. We went to work on him immediately. His dad said that he was fine just a month ago, but had developed a sore throat at about that time, and was seeing one of our local doctors who just kept giving him antibiotics. We managed to get young Eric stabilized. Just as we were settling him in and making his father comfortable, I received a call from the laboratory. The lab tech asked me to come down to the lab. I ran to the laboratory. When I got there the tech was shaking her head as if to say, "this is really bad". I looked at the blood count machine's screen. "my God", I said to the tech. "His white count is seventy thousand". I looked in the microscope, "blast cells". 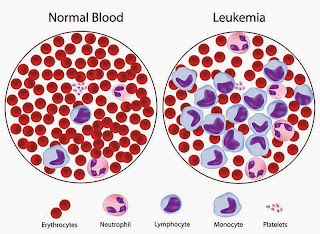 I knew right away we were looking at an acute type of leukemia, but couldn't recognize it. When I dashed back to the Emergency Department, Eric was coming around a little. I spoke with him and reassured him. But the look on my face when I turned to his dad, could not be masked. He knew I didn't have good news. We talked at length, then, I called in Eric's regular doctor. They talked while the team and I continued to work on Eric. I called in the helicopter, spoke with the hematology fellows at the university, returned to Eric and his dad, made sure they knew what we were doing and flew them both to University Hospital. All eyes turned to the Hematology Oncology Service with hope that they could help young Eric. One week later, while seeing patients in my office, the Hematology service at the university telephoned me to say that Eric had "passed away". You sit by yourself and reach for introspection when these things sting you as a healer. I wondered. How does a robust young athlete get sick with leukemia, fail in health so quickly, and die in one month? As it turned out, Eric contracted a type of AML, called Promyelocytic Leukemia, one of the most deadly forms of AML, one which preys on teenaged children, and takes them away from us with stealth and quickness. So you see, our job is not done. I am reminded as to why we call it a "practice". Our knowledge of the genome, stem cell technology, oncogenetics, and nanotechnology races onward. Our ability for rational drug design is extraordinary, and the technical savvy to produce these great magic potions has been nothing short of miraculous. In just four decades, we have all but squashed the disease that took my friend, David. But as you can see with Eric, we are not finished. I still think of David fifty years later, and how his death stirred in a young boy, the spark of becoming a physician. If I was educated only to save but one human being, it was all worth it. We already have at our fingertips two technologies that must be placed into motion. Stem cell research has already given us the ability to crush this killer, and should never be interrupted. And, the science to manipulate the oncogenes so responsible for the fuel that drives these diseases is already available. My hope is that with our new technologies, in the near future, we will not need any drugs for leukemia. We will simply turn off the genetic machinery of bone marrow cancer and not allow leukemia even to exist, and therefore, never threaten our children again. By Charles M. Counce, M.D. Dr. Charles M. Counce is a physician consultant, college professor, artist and medical illustrator with The Conservatory Of Medical Arts And Sciences. Founded by Dr. Counce in 2006, The Conservatory Of Medical Arts And Sciences is the collegiate medical arm of The Venture 17 Division of Education. The Conservatory is a campus based, and online education consulting professorate specializing in higher academics in the medical arts and sciences. The Conservatory Of Medical Arts And Sciences began as a charitable educational institution and online teaching tool to aid local college students in Colorado. However, The Conservatory has grown rapidly, reaching a large contingent of college students across America, as well as worldwide. The Doctor is a professor of Human Anatomy and Physiology, Internal Medicine, Microbiology, and Hematology. In addition, he teaches American History.